Disclosure: I will receive media passes to this event. No other compensation has been received. All views expressed are my own. 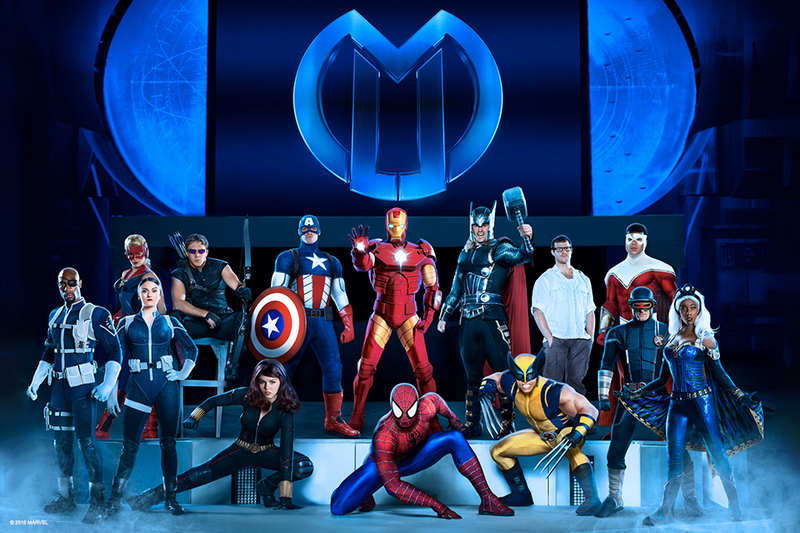 Superheroes and villains... the epic clash of these groups is something that has typically been reserved for movie screens, but that's not the case here in Kansas City - because from January 14-17, 2016, you can watch all the action unfold right before your eyes in Feld Entertainment's Mavel Universe Live! I've never been to a show like this one before, but it looks pretty epic! Marvel fans, assemble! Marvel Universe LIVE! is taking the live entertainment experience to a whole new level, with a mind-blowing show unlike anything you’ve seen before. 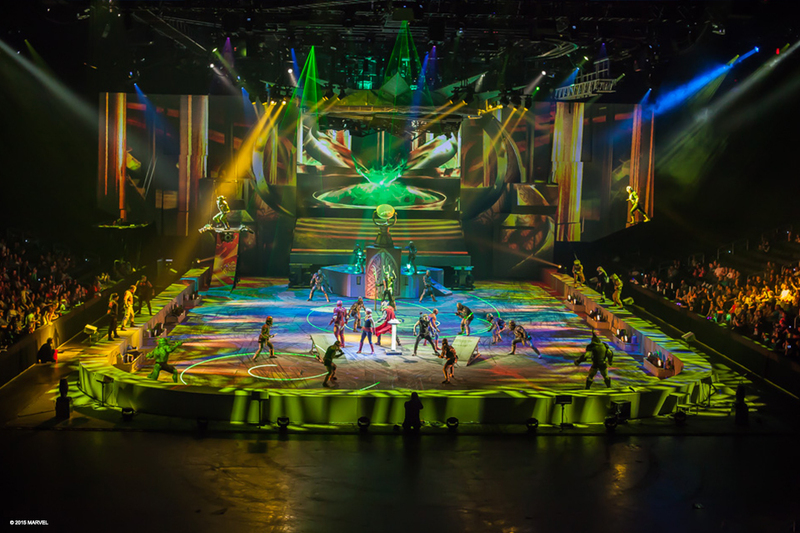 Watch your favorite Marvel Super Heroes including Spider-Man and the Avengers (Iron Man, Black Widow, Hulk and more) and threatening villains come to life in an action-packed arena extravaganza, coming to the Chicago Area. You’ll definitely feel the energy with cutting-edge special effects, pyrotechnics, aerial stunts, martial arts, motorcycles and more. It’s being hailed as the most technically advanced live show ever. Join Marvel fans of all ages for this once-in-a-lifetime, monumental performance. The fate of the universe depends on it! Who is your favorite Marvel hero, and who would you be most excited to see live at this show? I have always been a pretty big Spiderman fan. My four year old son gets excited watching the trailer for this show when he spots Captain America, The Hulk, Ironman, and Thor. Are you in Kansas City? The tour will be here from January 14-17, so you will have several chances to see the show. Make sure you enter to win tickets below! You can follow along via Facebook and Twitter for more info! And click here to purchase tickets to Marvel Universe Live! Director Jewels readers can snag opening night tickets (January 14 in Kansas City) for just $15, plus kids' tickets are just $15 for select performances. 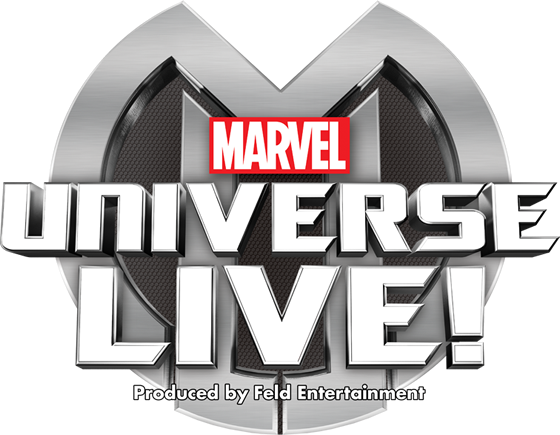 One person will win a 4-pack of tickets to Marvel Universe Live! at the Sprint Center on January 14 at 7:00pm. This giveaway is open to US readers only. Winner will be emailed and will have 24 hours to respond or prize will be forfeited. Disclosure: Thanks to Feld Entertainment for providing the passes. All opinions expressed are my own. For more information, you can read my Giveaway Policy and my Disclosure Policy. 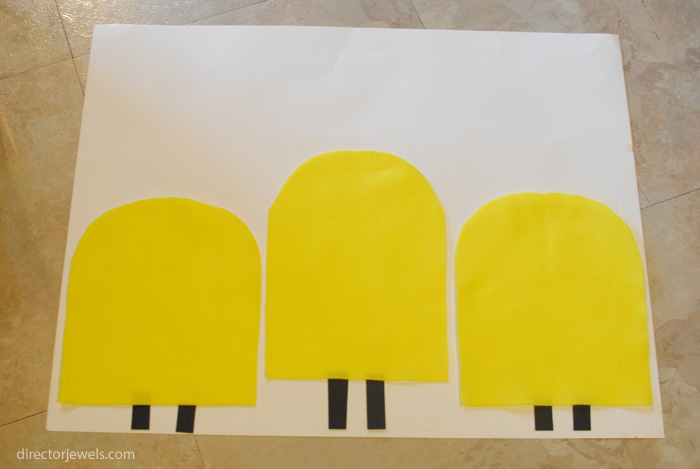 What do three little yellow creatures named Kevin, Stuart, and Bob have in common? Well, one thing is for sure - they work for only the finest villains around! Minions © 2015 Universal Studios. All rights reserved. is new out on DVD just in time for the holidays and we are really excited to share our perfect Minions party ideas to help you create an unforgettable movie night. 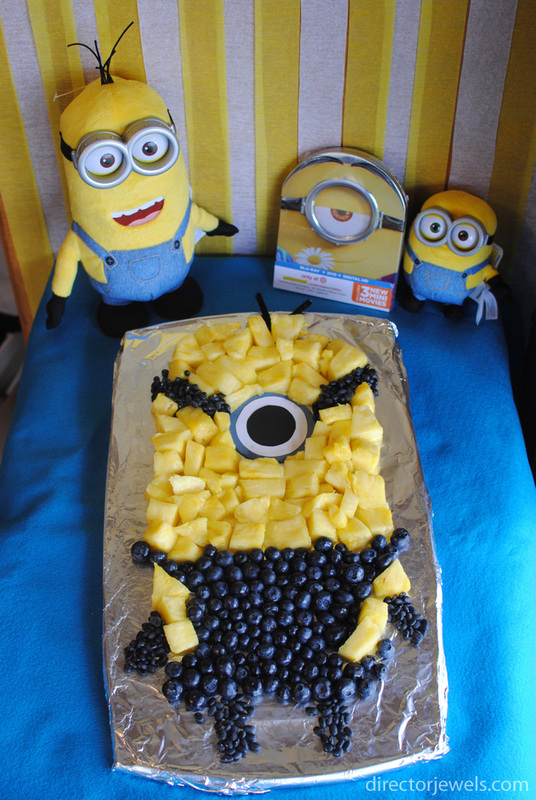 No party is complete without food, and food that looks like a minion is sure to be a big hit at the party. 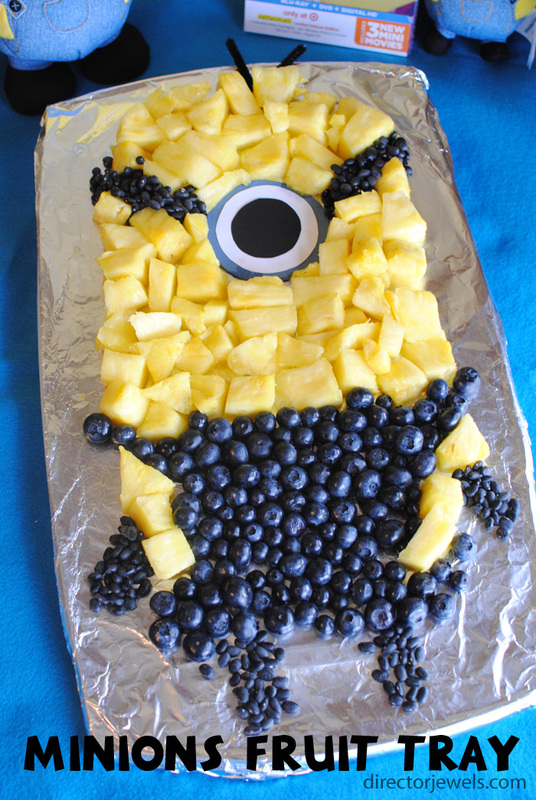 Here's how we created a Minions Fruit Tray. 1. 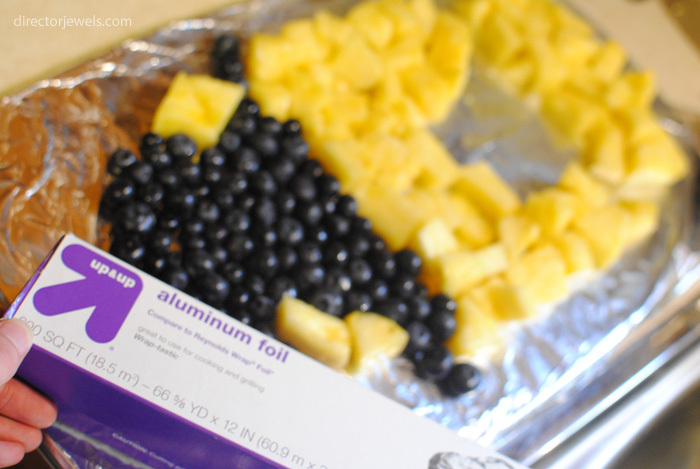 Wash and cut pineapple into chunks. Wash blueberries. 3. Create minion shape. 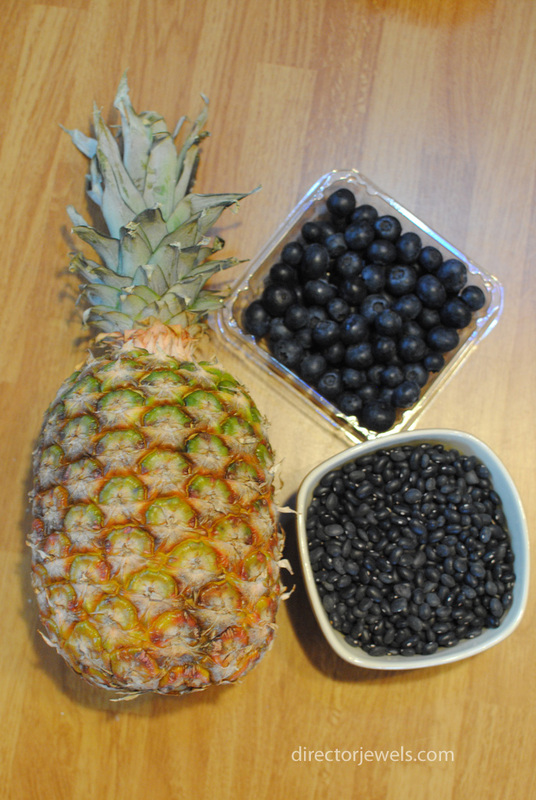 I started with the pineapple at the top, and worked my way down. The black beans for the goggles strap were added next, with the paper eye secured on the cookie sheet with just a simple piece of folded tape. The overalls were probably the trickiest part, but that was mostly because my kids kept trying to eat the blueberries! 4. Add small pipe cleaner pieces for hair, arms, and feet. 5. Enjoy! Just make sure to tell little ones that the beans aren't for eating. 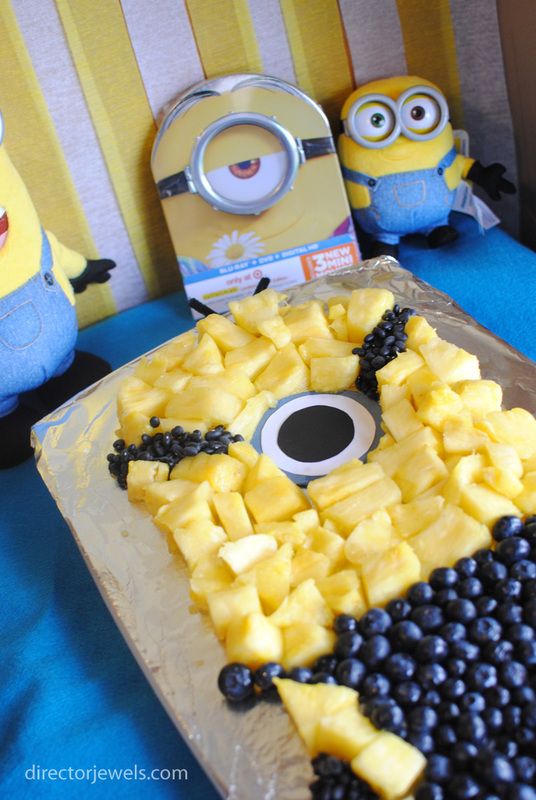 This Minions fruit tray was the perfect recipe to make for our party... it's quick and easy, and unforgettable! Our party, of course, had to include a showing of Illumination Entertainment's Minions, so we stopped by Target to pick up a copy. Target is a one-stop-shop when it comes to movie nights, so we were able to grab everything needed for our party. 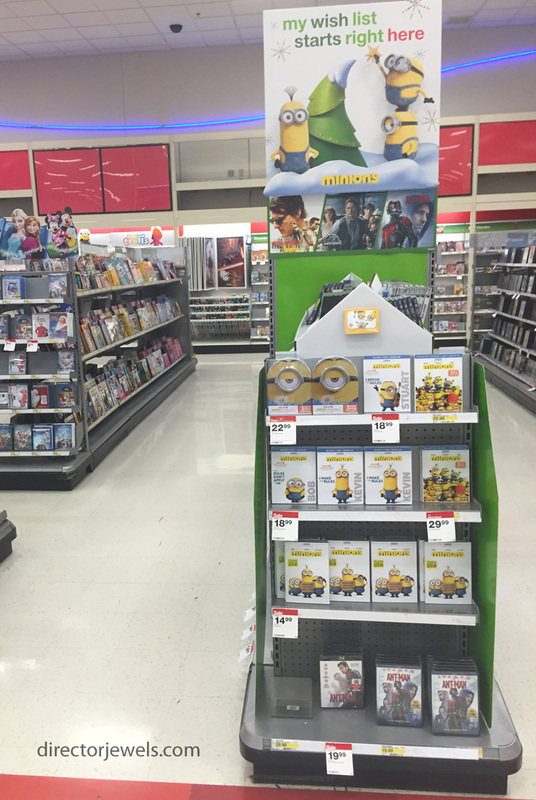 The Minions Metalpak Blu-ray/DVD - Deluxe is a Target exclusive and contains 40 minutes of exclusive content! More minions? Um, yes! Target also has a wide range of toys, books, apparel, and more so that you can take the movie-watching experience up a notch or two. 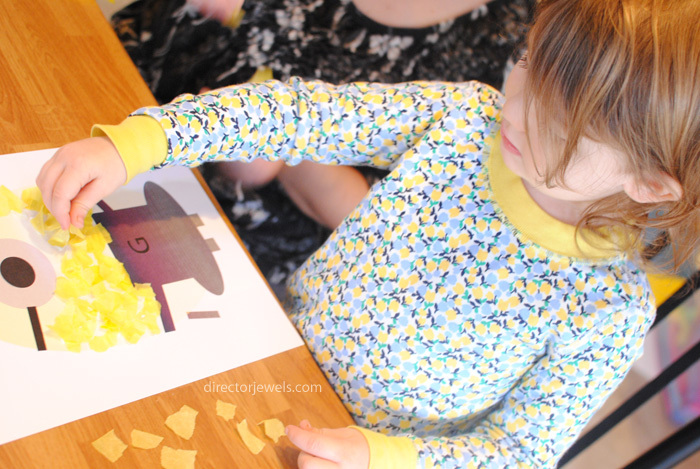 The Target Bonus Content includes a Minions Party Planner - giving fans the inspiration to create Minions themed decorations, party food, games, and activities. 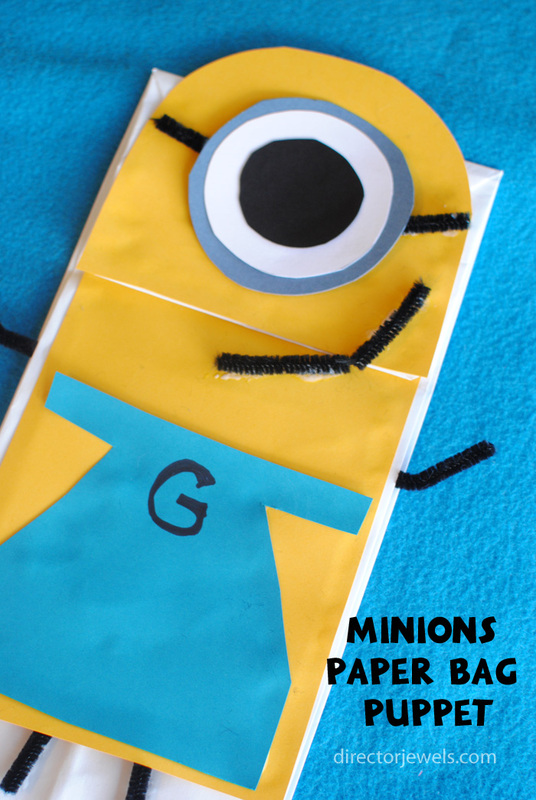 If you're planning a Minions party of your own, you'll want to snag a copy for sure. 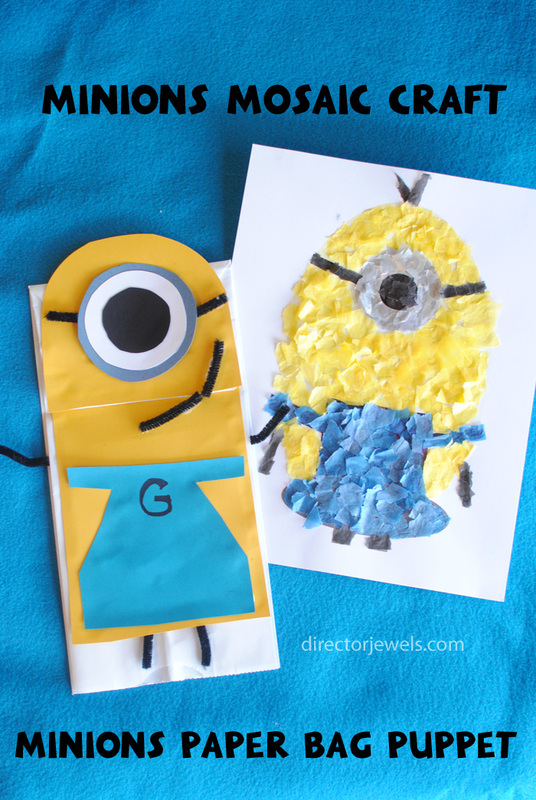 With preschoolers at our party, I wanted to create some easy Minions crafts and games for them to do. 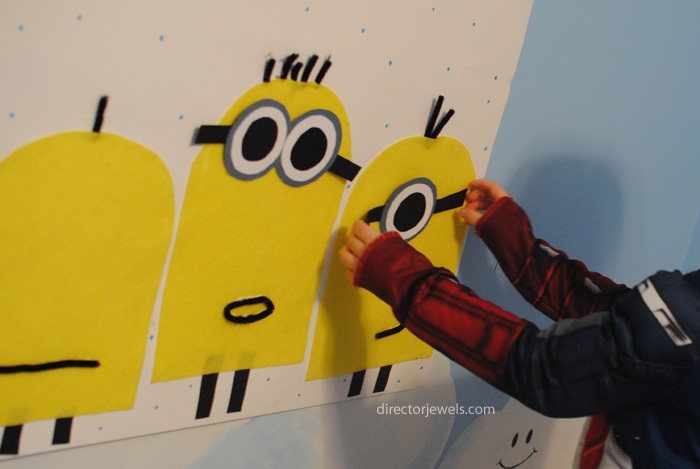 We ended up having a Pin the Goggles on the Minion Game, a Minion Paper Bag Puppet, and a Minion Mosaic Craft. All of our basic craft supplies came from Target, since they have a wide variety of craft items in stock! 1. Fold felt in half lengthwise, cut rounded tops. You can make the all the same size or vary their width and height as I did. 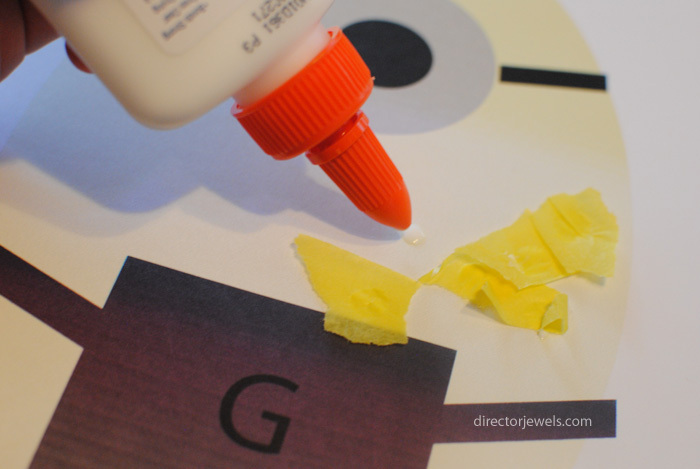 Use craft glue to attach to poster board. Add black cardstock feet. 2. 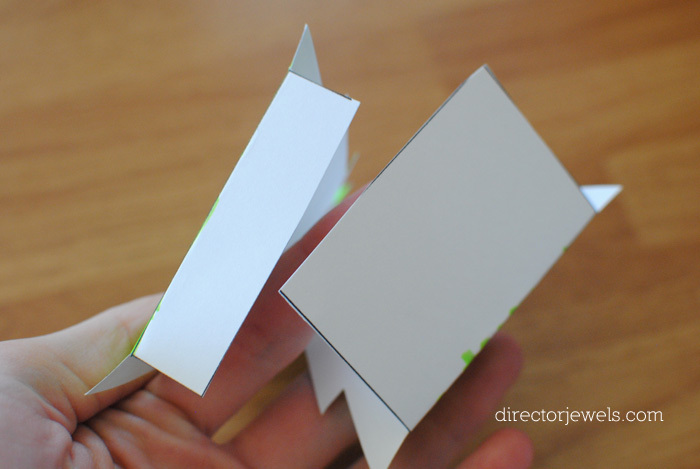 Make goggles out of cardstock. I used two different glasses and my craft glue bottle to trace the three circle sizes on the correct papers, glued them together, and added black cardstock goggles straps on either side. Make one for each guest at your party! 3. Add Velcro to back of goggles. 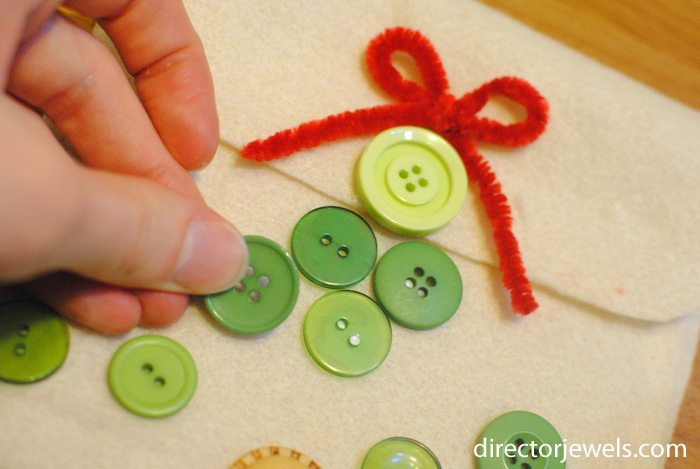 Make sure it's the pointy side so that it will stick on the felt! 4. Glue small pieces of black pipe cleaners to their heads for hair and mouths. 5. 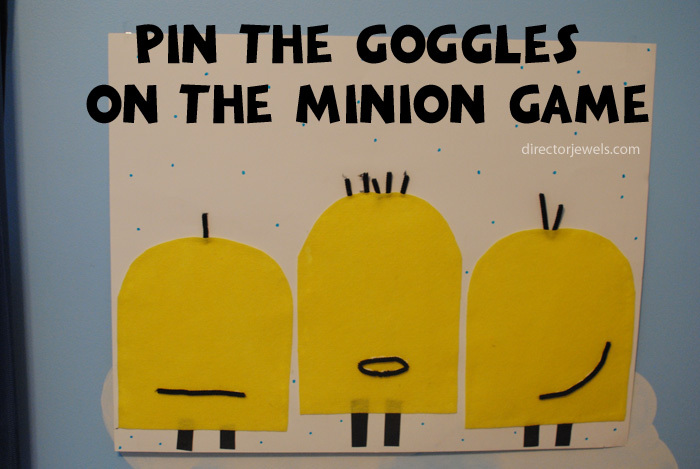 Blindfold party guests (or just have them close their eyes) and line up to take turns putting goggles on the minions! We had so much fun - the kids wanted to play this game over and over again. 1. 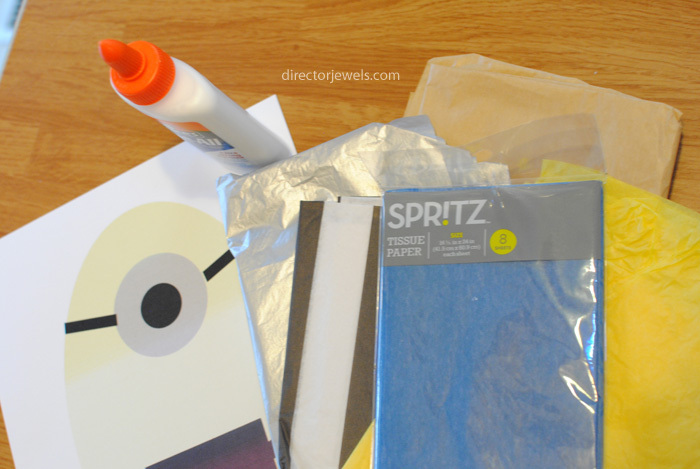 Cut sheet of yellow paper the width and length of the paper bag (it can be slightly shorter). Set it on top of the bag and mark where the flap will be. Cut, then glue the two pieces to the bag. 2. Cut out the blue overalls. I made a square, then cut out the edges to form the correct shape. 3. 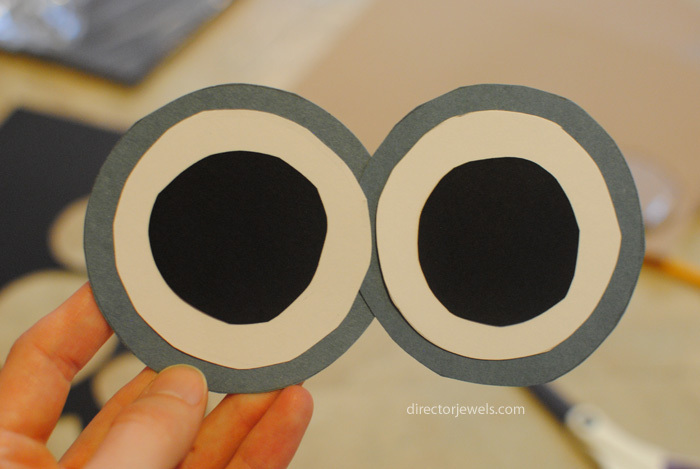 Make an eye out of cardstock. I traced two different glass cups and a glue bottle to get the right sizes. 4. Attach pipe cleaners for feet, arms, and goggles straps. Add the eye you just made on top of that! 5. Wait for the glue to dry before letting kids play with it! Mine tried to use theirs too soon and we had to redo the mouth! -Tissue Paper in Yellow and Blue. Optional: include black and silver for the other details but you could also color these with markers or just use the printable. 1. 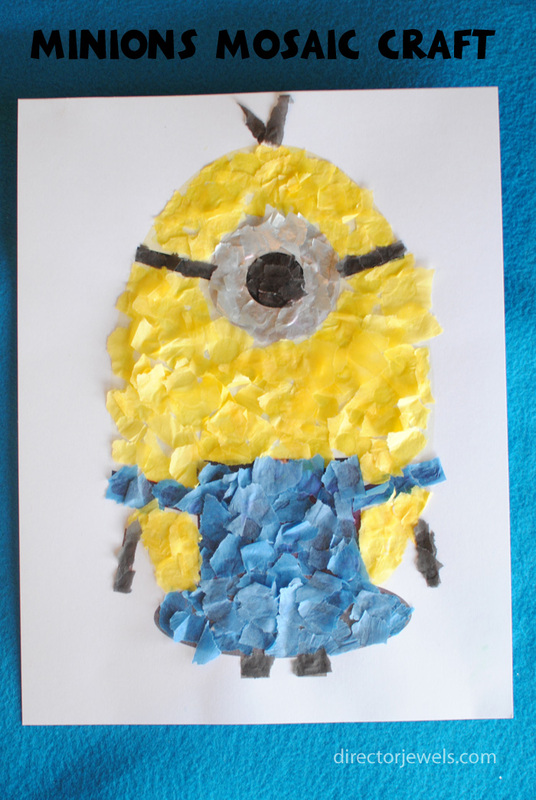 Print the minion mosaic with this free printable! 2. Tear tissue paper into small pieces. 3. 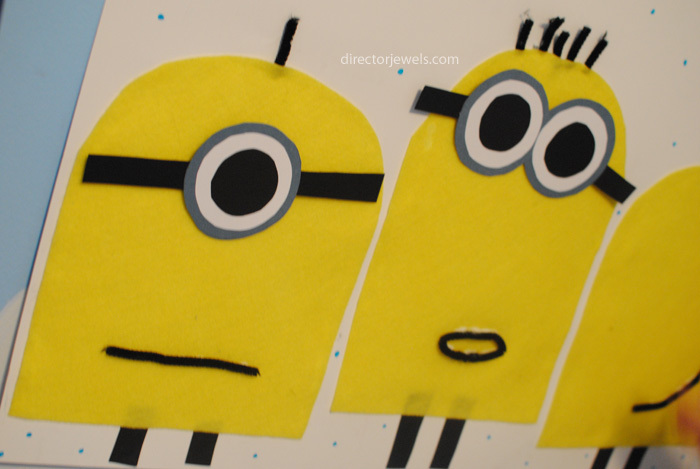 Let kids glue tissue paper to matching color sections on Minions printable, let dry. Super easy and super fun! Whew! We're still having all kinds of fun with our minions over here. 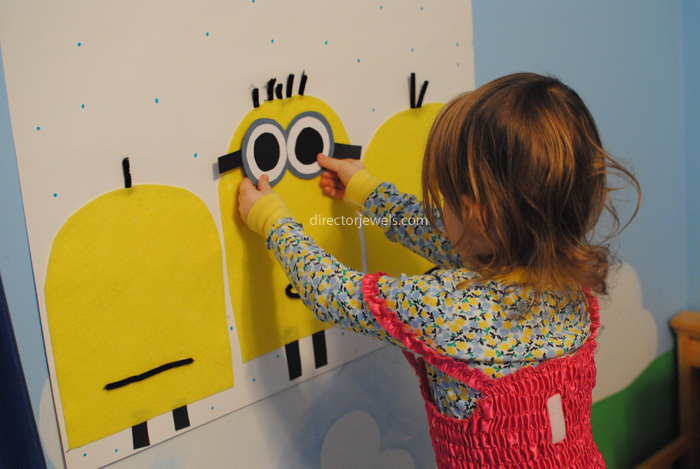 Are you ready for your own Minions party? Which project will you make first? The holidays are just around the corner and I am stocking up on everything I can think of that might make the last-minute rush just a little easier. With kids on my shopping list, I always make sure to grab some batteries to have on hand on Christmas morning... you never know what gifts under the tree might be a disappointment if they can't be played with right away! When gift-giving, I always make sure to include batteries with any new toy or game! And my go-to battery? Energizer® EcoAdvanced™, of course! I hate just taping a pack of batteries on top of a package, though...so I thought this year I would be a little more creative in my packaging! 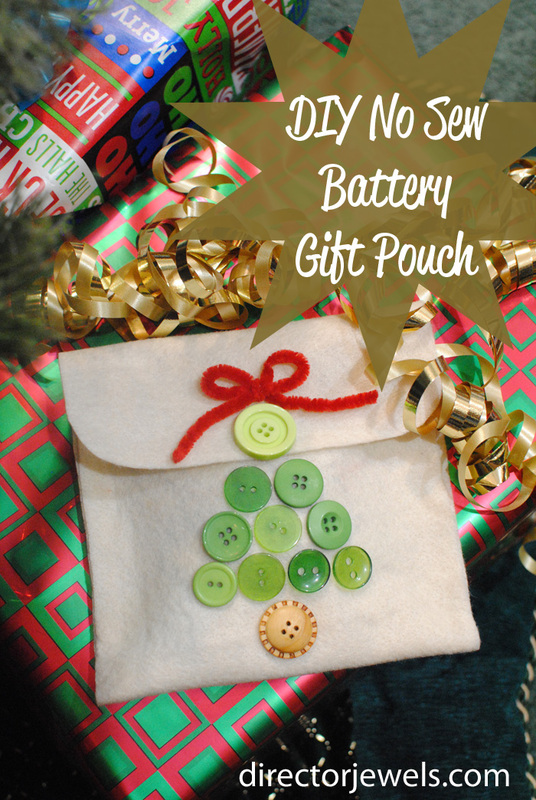 I gathered up some supplies (and batteries, of course), and set out to create a cute no-sew battery pouch to use with gifts that require batteries this year. 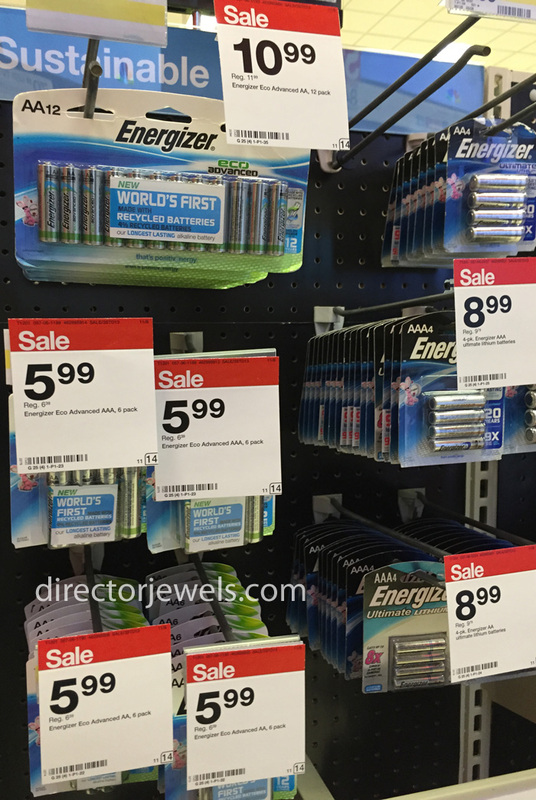 I found the Energizer® EcoAdvanced™ batteries at Target. I chose Energizer® EcoAdvanced™, the world’s first AA battery made with 4% recycled batteries, because I know that they will stand the test of time long after the holidays! 1. Cut Felt. For my pouch, I did a 13.5" by 6.5" rectangle. If your battery pouch is bigger or smaller, adjust to fit. 2. Measure about 5.5" (the height of your battery package) and fold up from one end, gluing each side down. 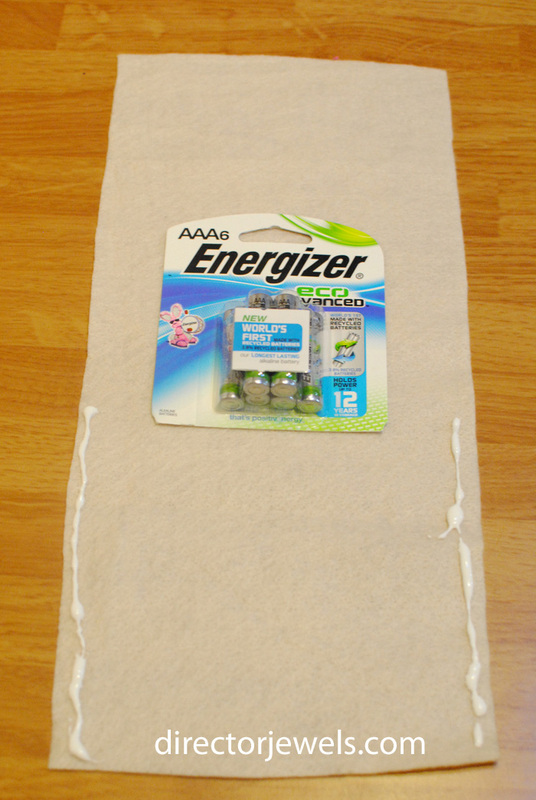 You can test with the battery pack to make sure the pouch is the right approximate size. 4. 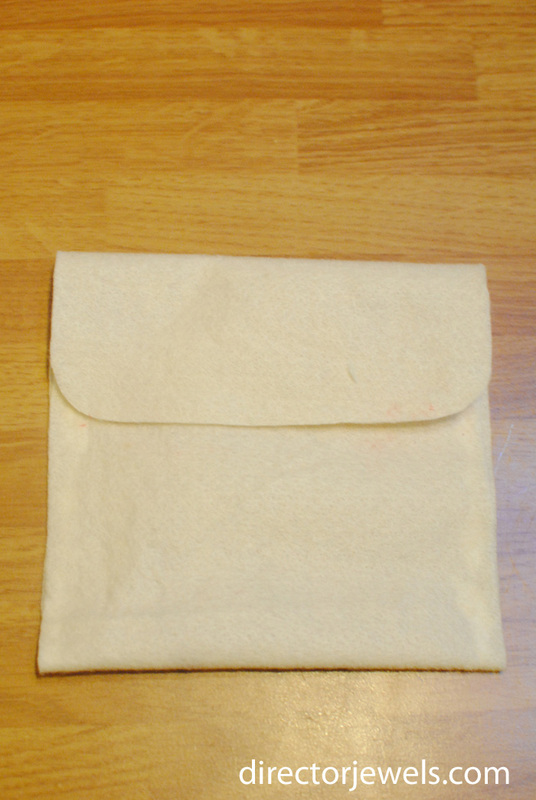 Fold down the top and round the corners with scissors to create your pouch. You could add no-sew velcro under the flap for a more secure hold. 5. 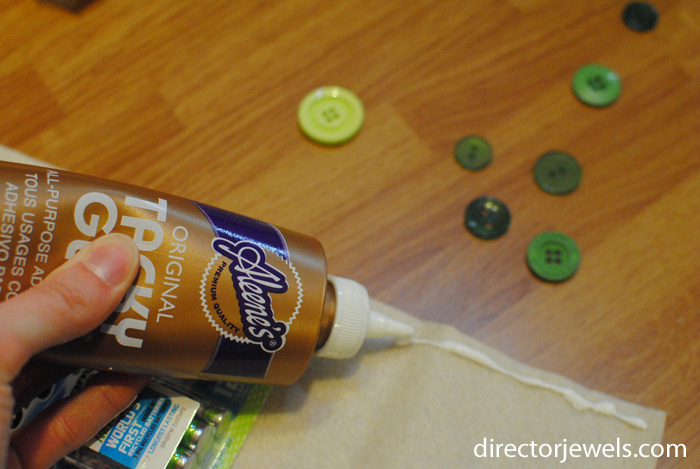 Use craft glue to decorate with buttons and ribbons. I made a Christmas tree, but the sky's the limit! 6. 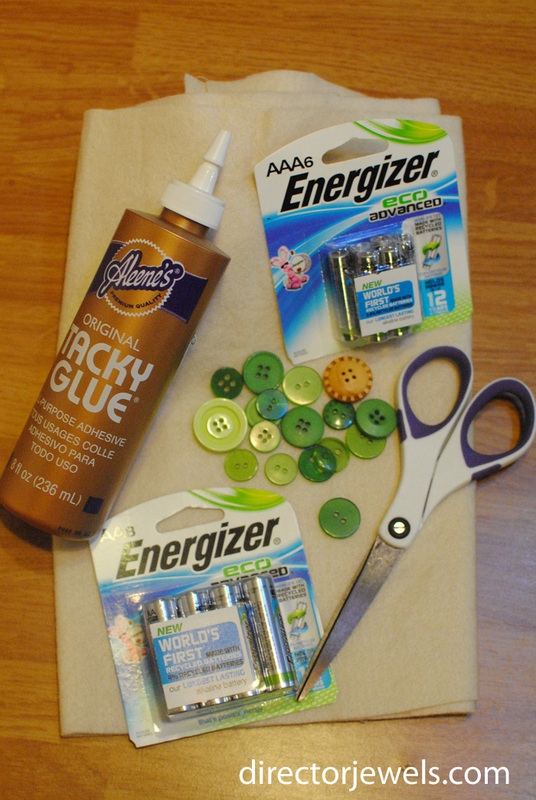 Allow glue to dry (overnight is probably best) and pop in your batteries. Add to your gift and you're ready to go! Energizer® is committed to bringing positive energy to the world by creating less waste - and I'm committed to using as many supplies on hand as I can to make Christmas more magical than ever! 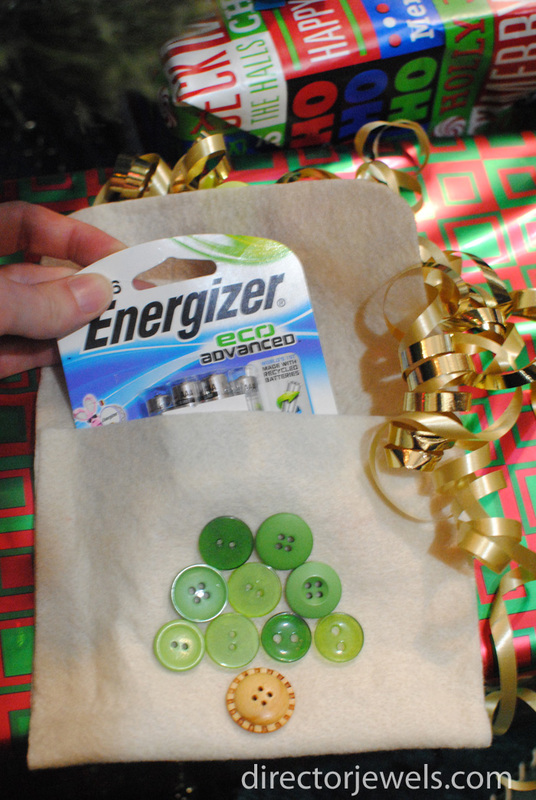 How will you #PowerYourHoliday with Energizer® EcoAdvanced™ this season? Disclosure: I received a review copy of this book. No other compensation was received and all views expressed are my own. It's never been a secret that my kids hate sleeping. I think when they came into this world they had a secret conspiracy to be awake as many hours of the night and day as possible. Okay...maybe not really, but it sure did seem that way back at the beginning! 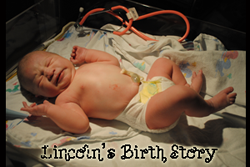 These days, at ages 3 and 4, they sleep a little more routinely and for a little bit longer. I'm grateful! I view sleep as a precious gift! 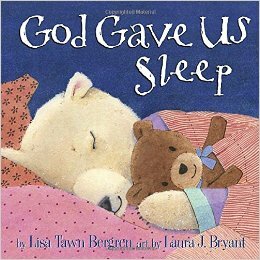 God Gave Us Sleep, a sweet children's picture book by Lisa Tawn Bergren, is a gentle reminder for little ones that sleep is a very good thing, indeed! It offers reassurance that sleep is something that everyone needs - moms, dads, and cubs (or kids) included. Little Cub has a night of not-so-restful sleep during the story, and the next day realizes how grumpy she is, giving her the opportunity to reconsider the idea of embracing rest for the good thing that is is. I love this book because it addresses the common issues kids have about not wanting to go to sleep such as reluctance to stop playing, last-minute calls for water, and pleas for "just one more story" in a manner that is easy to relate to for the preschool crowd. This is a fun book to read during playtime, or a sweet story to turn to when eyes are sleepy and the little ones are winding down for the night. The strong theme of Little Cub's parents supporting her as she learns what her body needs and the way that they guide her to God as the One who can give her sweet dreams and adequate rest is excellent. The book easily weaves the family's faith into everyday conversation, something that is very appropriate for children to read and observe, while they are experiencing similar conversations in their own families. Five stars from me! And best wishes to all of you tired mamas out there...may your little ones sleep ALL night tonight! Disclosure: I received this album to review. No other compensation was received. All views expressed are my own. We love Laurie Berkner! I've been a fan of her music since way back in my pre-mommy days, when I sang children's songs at storytime when I worked at the library. 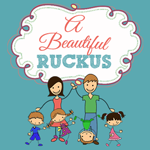 Kids love catchy tunes and Laurie supplies some of the best children's music out there. We always have at least one album in our minivan in case we need to turn an ordinary day a little more exciting. Laurie's new release this fall, Laurie Berkner's Favorite Classic Kids' Songs, is a collection of just about every famous children's song out there. While a number of the songs included are re-mastered, previously released tracks, there is a vast collection of additional new recordings to round out the 2-disc set. Here's some info about the new release! Best-selling children's recording artist and preschool television favorite Laurie Berkner will release a two-disc album, Laurie Berkner's Favorite Classic Kids' Songs, on October 23rd. The album includes 51 well-loved, traditiional children's songs, plus six "bonus" tracks of favorite Laurie Berkner originals. Says Laurie Berkner, "I grew up with many of these songs, and I'm sure parents and grandparents will remember a lot of them from their own childhoods. I'm excited about sharing these classics with kids who may not have heard them before and also introducing my versions of songs that might already be family favorites. In the true folk tradition, I've added some of my own lyrics and my own spin to many of these traditional songs. I've kept a folk or rock feel for most of the numbers, with a little reggae thrown in here and there for fun!" I can't pick a favorite track - there are just too many good ones. This is a perfect collection for any household with kids, for a preschool, or for a grandma to keep in the car for when the grandkids are riding along with her. My kids are learning the words to all the songs and I know this album is one we'll return to again and again. Hop over Laurie's website, where you can read all about Laurie Berkner and the band. You can also follow along on Facebook or Twitter. Disclosure: I received a sample copy of this book for review. No other compensation was received and all opinions are my own. December, and with it, the holiday season, have arrived in full force! I still haven't wrapped any books to get started with my gift-wrapped book tradition this year, but the kids don't seem to mind. They're happy to read books of any kind, at any time! I'm excited to tell you about the latest addition to my Christmas book collection: The Midnight Visitors. 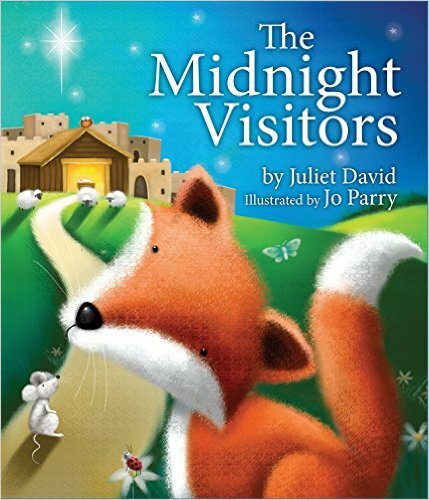 This sweet picture book, written by Juliet David and with illustrations by Jo Parry, is a glimpse into the story of the first Christmas from an interesting new perspective: the animals in the stable where Mary and Joseph find themselves in Bethlehem. Miriam the cow is our protagonist and we watch as she welcomes lots of little refugees to her barn - rabbits, foxes, mice. The stable is almost all filled up by the time the innkeeper introduces Mary and Joseph to their home for the night. Some of the animals stay asleep, but most of them are wide awake as the baby Jesus is born, the shepherds arrive seeking Jesus, and the star shines brightly in the sky. My kids, especially my daughter, love animals and we have fun counting the number of creatures on each page. The illustrations are warm and charming and the text is easy to read. The words don't rhyme, but they have a nice flow. I'm glad to have a book in our collection that features the story of Jesus' birth with a spin that kids find intriguing. The tale of Miriam the cow's kindness and her willingness to share her barn is helpful for building character at the preschool stage of life. This one will stay in my Christmas advent book collection for sure! The Midnight Visitors is available for purchase now from various retailers. Retail price is $14.99. What's your favorite children's Christmas book? "For it is good to be children sometimes, and never better than at Christmas, when its mighty founder was a child Himself." The short tale of Bob Cratchit, Jacob Marley, The Spirits of Christmases past, present, and yet to come, and stingy old Ebenezer Scrooge himself has always been a favorite tale at Christmastime. It has actually been years since I've read the novel, but every Christmas I can recall has involved seeing a stage production, watching a movie adaptation, or even participating in a community theatre musical. 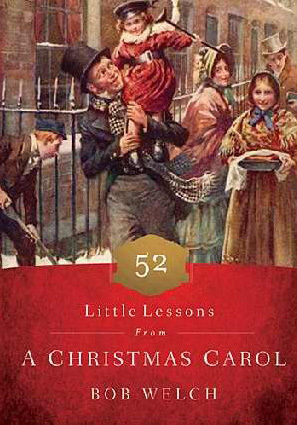 A Christmas Carol is at the heart of the season, and I was so excited to find this little book about a book that has meant so much to so many people. 52 Lessons from A Christmas Carol, written by Bob Welch, is a nice companion for the holiday season. With each lesson rounding out to 3-5 pages, it is not difficult to read a couple each day. The lessons range in content from how one should see Christmas as a child, be aware that one makes the chains that shackle him- or herself, and that seeking forgiveness is a sign of strength. Woven throughout are scriptures to back up these messages. 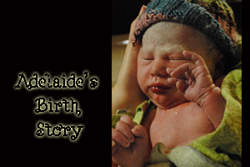 There is so much to be learned from the characters of this tale and from Charles Dickens' insights to human nature. Whether you must, like Bob Cratchit, realize that even in the midst of tragedy you are needed by others or if you must understand as Scrooge does, that one person's actions can affect a host of others for good or for bad - there is something for each person to apply to their own heart. Perhaps my favorite lesson is number 39 - Grace Changes Everything. What a message! How very different would the story be if Scrooge visited the past, present and future with the spirits, yet woke up in his bed and decided that his way was still right and there was no need for change? Grace is a gift that is hard to understand - it is freely given. The merriment that Scrooge displays when his heart has truly changed is a testament to the joy given when a life is fully surrendered to Christ. Without grace, there can be no true joy. I'm so pleased to have this title in my collection and plan to reference it every year. It has been a joyous addition to my Christmas celebration and I know it will be so again in the future! It can be hard to think of something unique to give to family and friends during the holiday season. We don't have a huge budget, but there are usually at least a handful of people that I want to show appreciation to at the end of the year. 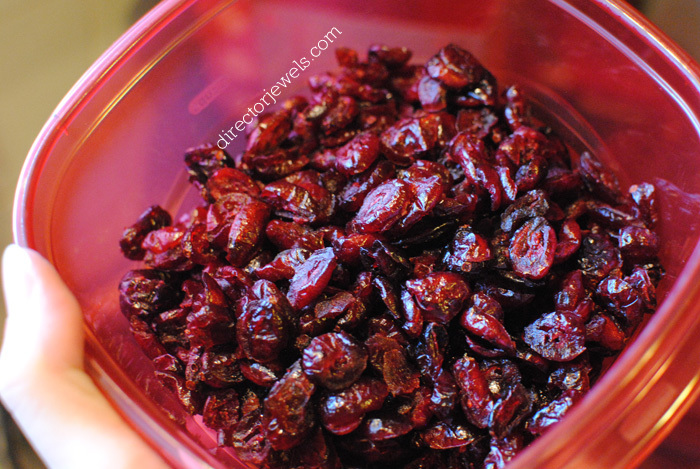 Since we have spent most of the year learning to handle food allergies, this year I wanted to keep other families who may be in the same situation in mind... so we decided to make some homemade dried cranberries to gift to our friends and family! 2. 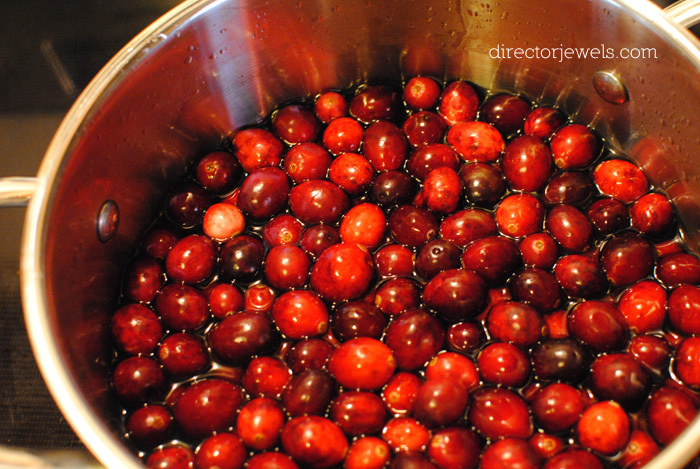 Rinse cranberries in hot water. 3. Submerge in boiling water for 10 minutes. 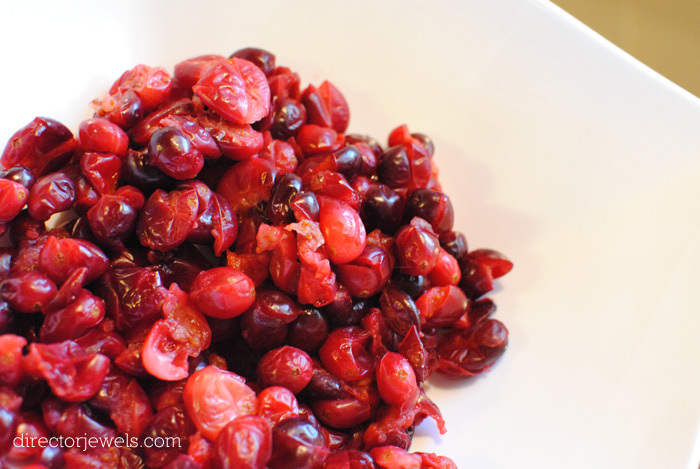 Cranberries should pop. If they don't, use your spoon to push them against the side of the pot and pop them right open. 4. 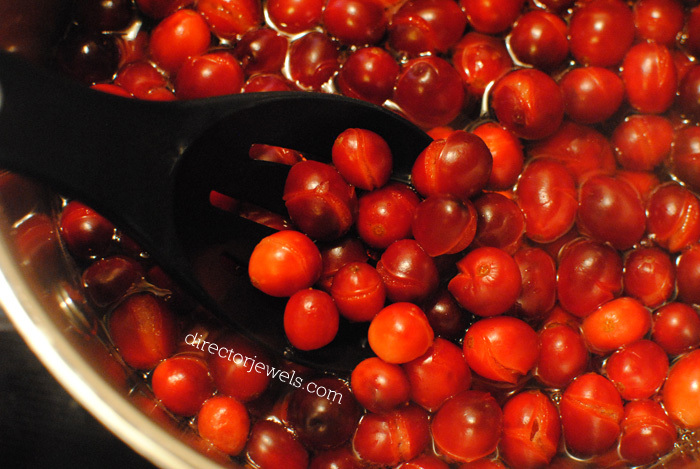 Pour into colander, drain off excess water. I rolled them in a towel to get even more water off. 5. Toss with Honey. 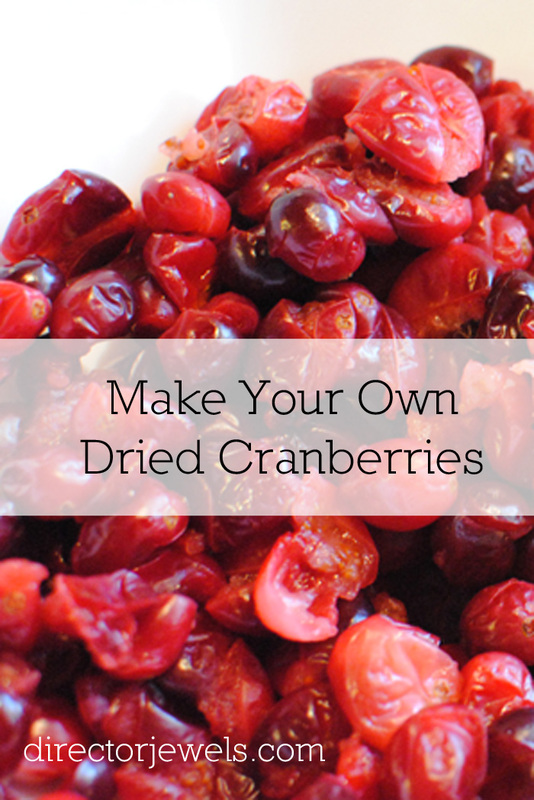 I didn't want our cranberries to be very sweet, so we went with this option. You could use a different sweetener, if preferred. 5. 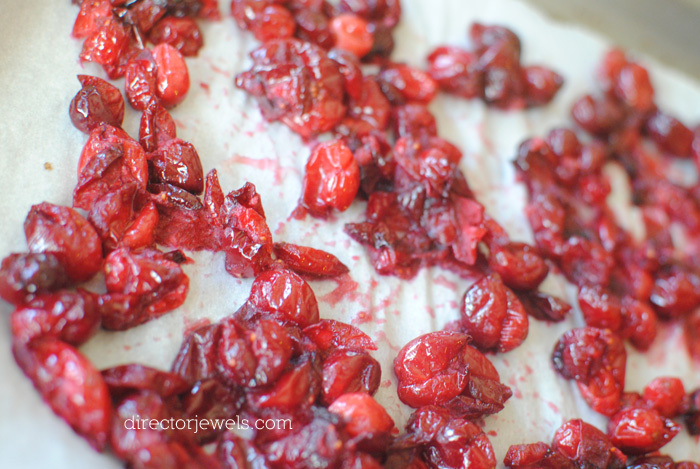 Bake at 200 degrees for 6-8 hours, then allow cranberries to dry for about 24 hours before sealing in an airtight container like Rubbermaid TakeAlongs. 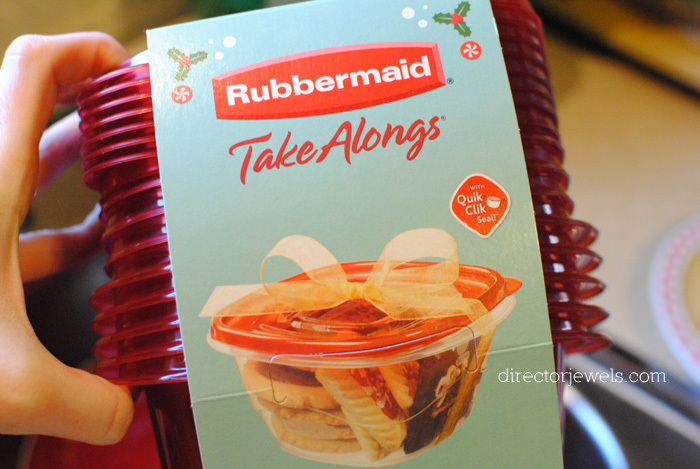 Rubbermaid TakeAlongs come in a variety of shapes and sizes, to fit any holiday gifting needs you might have this year! They're even available in festive colors and designs - I love the red ones. I used the Rubbermaid TakeAlongs Deep Square size for this gift. 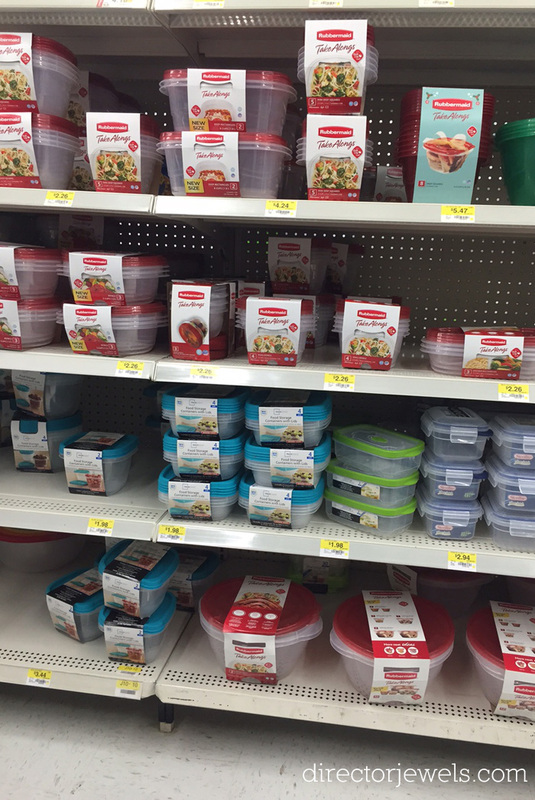 Rubbermaid TakeAlongs can be found easily at Walmart - and there is even a $1.00 off the purchase of 2 offer available from Ibotta (exclusively for Walmart shoppers) right now! Rubbermaid TakeAlongs are dishwasher, microwave, and freezer friendly - so that makes them an ideal option for anything you need to transport while giving the gift of thanks to friends and family. 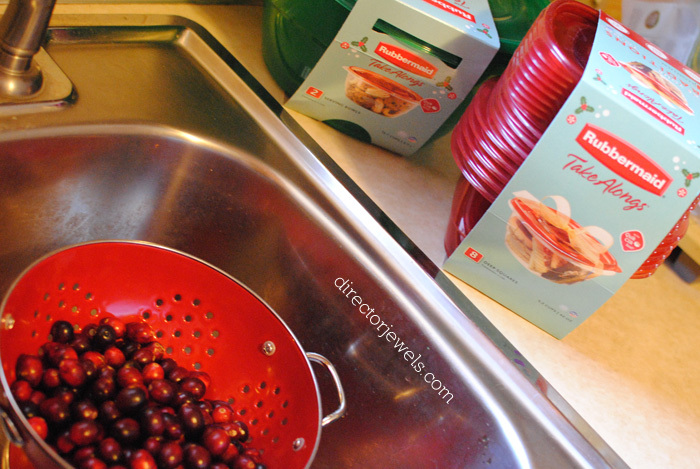 Once the cranberries were ready, we wanted to package them up and make them seem a bit more festive! 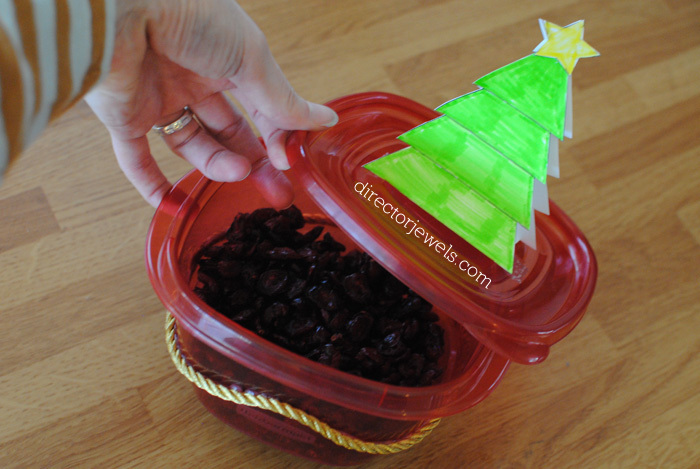 The red Rubbermaid TakeAlongs were perfect - we just added ribbon and a Christmas tree top to finish it off! 1. Cut a 20" piece of ribbon or cord. 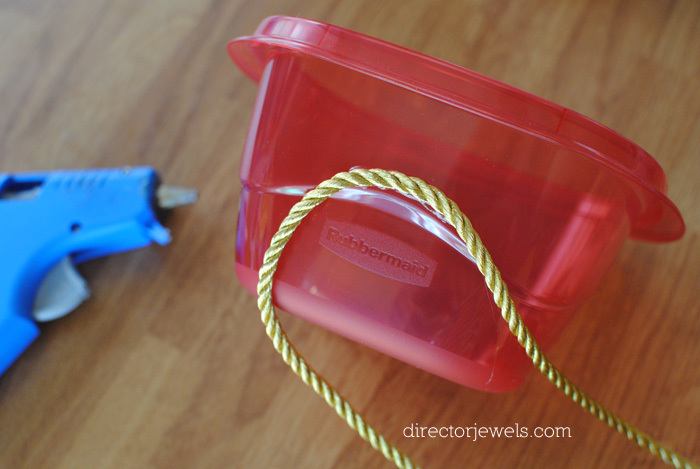 Hot glue around Rubbermaid TakeAlongs container. 2. Print this Christmas Tree Gift Topper. 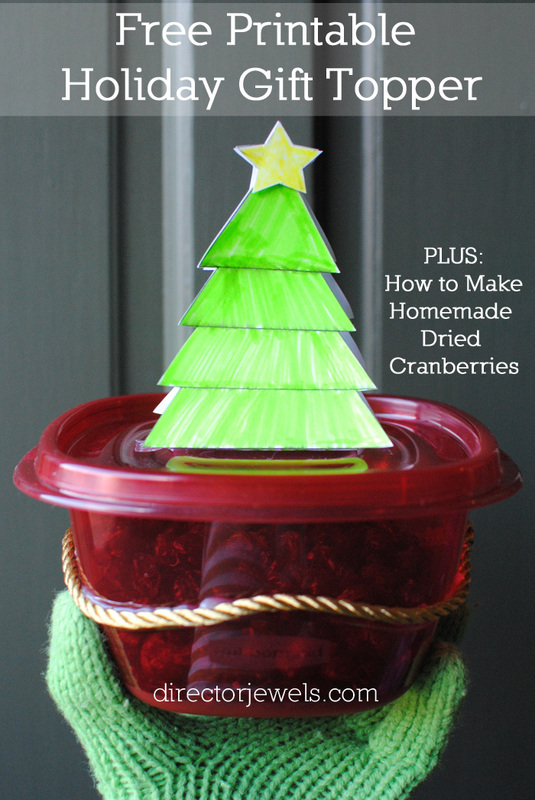 Decorate however you want! 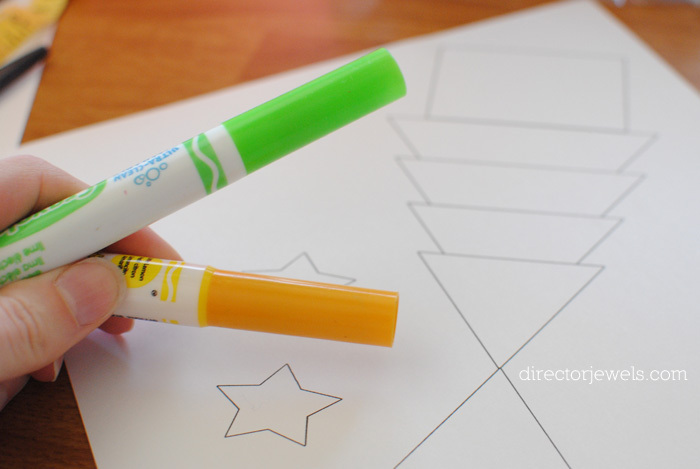 Since it's double-sided, you could even let a different child decorate each side. 3. Cut out the tree and fold (make sure you don't snip all the way to the center at the tip of the tree so that it will fold. 4. 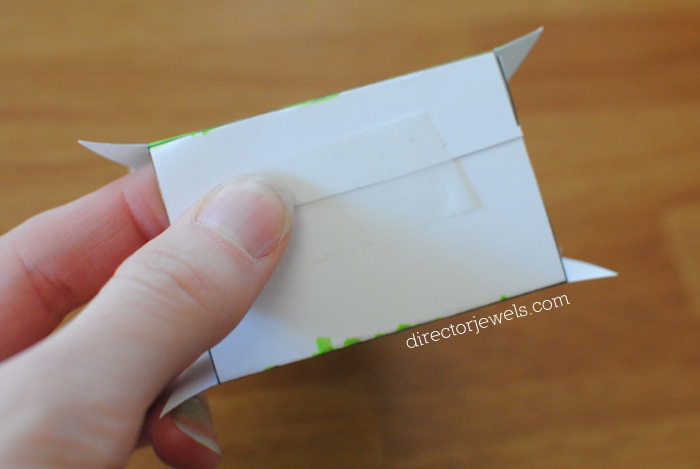 Fold the base along the lines and tape together. Tape to box. 5. 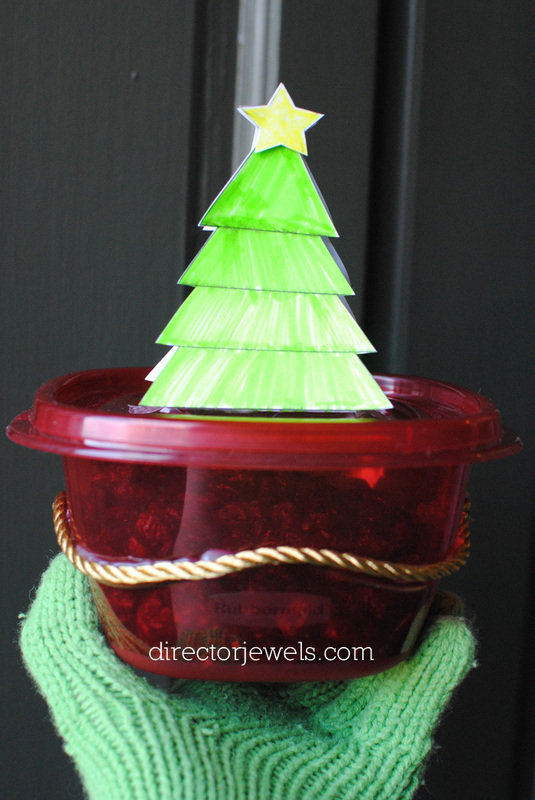 Attach decorated stars on either side of the tree with tape, kids glue, or any adhesive you want. I used hot glue because it was most easily accessible! That's it! What neighbor or family friend wouldn't love to receive one of these from your hands this winter? What gifts are you giving to friends and family this holiday season?